Marianne Moser graduated from Milton High School with high honors. While in high school, Marianne was in leadership positions as Key Club treasurer, Student Council secretary, Future Business Leaders of America vice president and National Honor Society president. Marianne gave to her community by volunteering with the Salvation Army, Kids Against Hunger, global Youth Service Day and tutoring middle school students. Her high school activities included varsity sports (lettering all four years in tennis), 4H, band, plays and show choir. Marianne will attend Marquette University. Megan Jass is a graduate from Clinton Community High School who is very involved with her local FFA and 4-H. She showed various animals at the county fair and participated on the horse judging team. She plans to major in animal science at the University of Wisconsin-Madison and continue her education to pursue her dream of being a large animal veterinarian. My name is Min Park and I am a graduate of Evansville Senior High School. During my four years, I had fun participating in jazz band, musical, soccer, and cross country. I was president of Student Council and vice president of our National Honors' Society Chapter, but I had the most fun in my time outside of school. For my first high school summer, I backpacked to Central America and was immersed in Spanish language and customs. My other two summers were spent volunteering as a church camp counselor and studying abroad in Korea and the Middle East. Through this, I have discovered my love to 'inquire globally.' This upcoming fall, I will attend Emory University in Atlanta and pursue a pre-med track and minor in Arabic language. I am so honored that I can be the recipient of this scholarship, and I will do my utmost best to study hard and remain grateful for whatever is to come. My name is Marissa Monk. I am so honored to be a recepient of the Jessica Joy Arnold Memorial Scholarship Fund, Inc. I attended Parkview High School in Orfordville, Wisconsin. I was in the top ten percent of my class. I was active in volleyball, basketball, and softball as well as National Honor Society and a Class Representative for Student Council, Homecoming, and Prom Court. Outside of school, I am active in 4-H and in my youth group at church. I plan to attend Carroll University where I will be Majoring in Exercise Science, Minoring in Spanish, and pursuing a Doctorate in Physical Therapy. I currently work for the Parks and Recreation Department in a nearby city. I hope to use my education and interests to work with children with physical and/or emotional needs. Karina Triller graduated from Craig High School in the class of 2012. 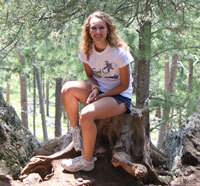 Throughout her high school career, she has been involved in many different clubs and organizations. Some of these include poms and tennis, show choir, a Capella choir and the fall musical, as well as yearbook, JSOL, Link Crew, Student Council and the Spanish club. Karina was also honored to be inducted to various societies such as Quill and Scroll, Spanish Honor Society and the National Honor Society. In 2012, she had the opportunity of being voted the School Board Representative for Student Council to represent the students of Craig and speak at community school board meetings to inform the board of the goings-on of the student body. Throughout these past three years, it has been Karina's privilege to serve in some of her church's outreach ministries such as Vacation Bible School, the middle school youth group, and to participate in a mission trip to the inner-city Chicago. Helping to lead the worship at her church by singing with the worship team has also been very meaningful and rewarding and have had a positive effect on the physical and spiritual well-being of the people in her community. Some of her most memorable experiences come from her time as a counselor at Lake Waubesa Bible Camp. The experience of working with kids, counseling them for a week, and watching them grow in their faith and other relationships was incredible. It was a life experience that has taught Karina what it means to have a true servant's heart. As the oldest of six kids in her family, she is the first to attend college. Karina will attend Northwestern College in St. Paul, Minnesota in the fall, where she will be majoring in Electronic Media Communications. Jessica Alf is 18 years old, and is a 2013 graduate of Milton High School where she was active all four years in varsity gymnastics, volleyball, and show choir. Jessica was also a member of the National Honor Society. Jessica has been a member of the Consolidated 4-H Club for thirteen years and the Milton FFA Chapter for six years. Jessica has been an officer for each group for many years and most notably is currently serving on the Wisconsin State 4-H Youth Council (YLC). Jessica is also the YLC���s State Fair Foundation representative and has been honored to have been chosen as a state delegate for the Citizenship Washington DC Focus and the National 4-H Congress trips awarded through the Rock County 4-H Program. 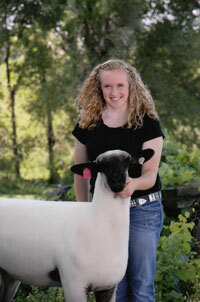 Jessica has grown up on a farm in rural Edgerton and raises purebred Hampshire sheep with her family. Jessica has shown sheep at her county fair, numerous regional and state fairs and national shows like the All-American Junior Sheep Show and the North American International Livestock Exhibition in Louisville, KY. Jessica has also been highly involved in the clothing project through 4-H. Jessica has used the three-piece wool outfit she creates each year to compete in her 4-H Style Review, sheep Lead Line competitions and the Wisconsin Make it with Wool Contest. Jessica has won the Wisconsin Make it with Wool contest three times and advanced twice to the National Make it with Wool Contest in Reno, NV in 2011 and San Antonio, TX in 2013. Jessica���s other 4-H projects have included; Dogs, Home Environment, Veterinary Science, Visual Arts, and Youth Leadership. Some of the community service projects that Jessica has participated in have included Adopt-A-Highway, Salvation Army bell ringing, making baby quilts for the neo-natal unit at St Mary���s Hospital in Madison, and sending care packages to tornado victims in Joplin, MO and most recently to Moore, OK.
Jessica feels her many 4-H, FFA and community service experiences have helped her decide her future career goals. Jessica will be attending the University of Wisconsin-Whitewater this fall where she plans to major in Biology with a Pre-Med emphasis with a long-term goal of becoming a pediatric doctor. Jessica is deeply honored to have won the Jessica Joy Arnold Memorial scholarship. Although she wasn't privileged to have known Jessica Joy personally, she feels a strong connection with this multi-talented young woman who shared so many of her own passions. I am a graduate of Craig High School in Janesville. I will be attending Viterbo University in LaCrosse, WI with hopes to become a Nurse. During high school, I was involved in many extracurricular activities including Spanish Club, Key Club, FFA, Yearbook, Live United, Spanish Honor Society, Quill and Scroll, and National Honor Society. My favorite part of these extracurricular activities was the volunteer work. I loved being able to make a difference for the people in my community. I helped with House of Mercy, a homeless shelter for families, GIFTS, a men's shelter, and the Salvation Army. I loved being able to see how I was helping other people. Along with these I was also involved in 4-H for 8 years, exhibiting in Photography, Veterinary Science, Horse and Pony, Hamster and Cavy, Home Environment, and Dogs. I was a junior leader of the Pony Project, and I enjoyed working with other members as well as their horses. Helping younger members at the Horse Camp for first and second year member was really fun sharing knowledge with those who were younger than me, and watching them do well from your advice was rewarding. I was also involved in the Wisconsin Arabian Horse Association, Northern Illinois Arabian Horse Activity Club, and Wisconsin Pony of the Americas Club. 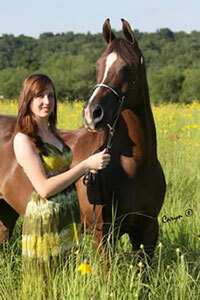 I was the former Vice President of the Wisconsin Arabian Horse Youth Association, and now the treasurer. I really enjoyed coming up with activities to help get more youth involved in our youth program. I was grateful for the experience. 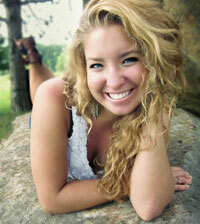 Brittany Nicole Long is a graduate of Brodhead High School, Brodhead, Wisconsin. She has held numerous leadership roles while in high school, including 4-H, Decatur 4-H, Green County Junior Leaders Association and Girl Scouts. She was active in her school's art club, the Association of Student Artists, and was the captain of the Brodhead Marching Band's Colorguard squad. Brittany is also participates in Broadhead High School's Marching Band, Concert Band, Brass Choir and Clarinet Choir. Despite a busy high school career, Brittany is active in her community, including providing services to the elderly and participating in the Brodhead Public Library Reading program. Brittany excelled scholastically while in high school and will attend the University of Minnesota � Twin Cities.